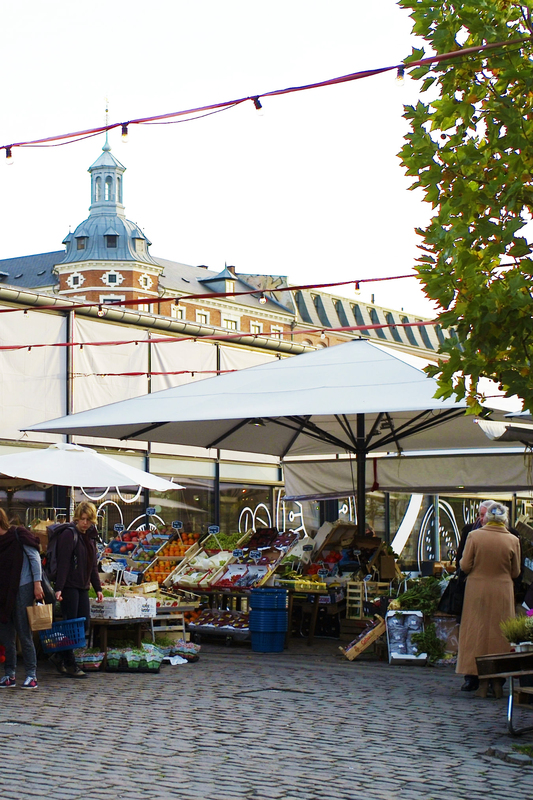 Housed within two glass warehouse buildings, designed by architect Hans Peter Hagens, Torvehallerne is Copenhagen’s most popular public market and the city’s first central food hall. 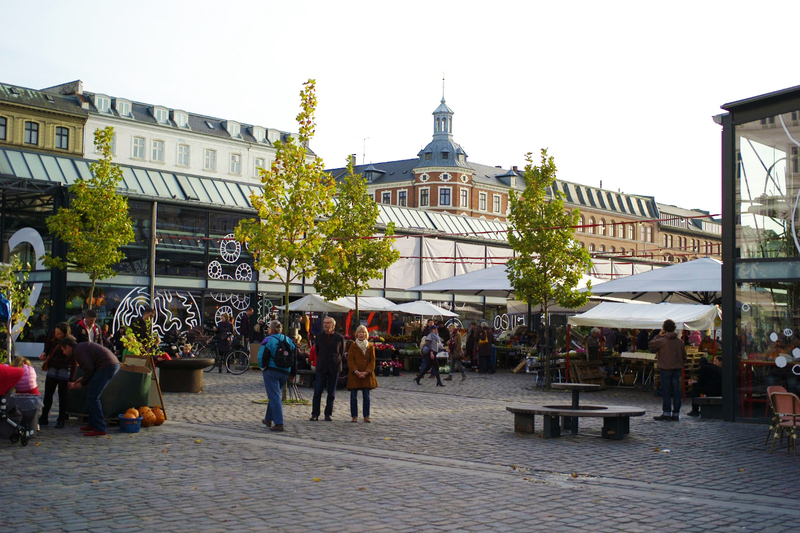 It opened in 2011 in the Israels Plads, a public square just off of Norreport Station in the inner city, and its spacious layout provides a relaxed atmosphere with a welcoming abundance of fresh produce stands, communal seating, and an open fireplace. 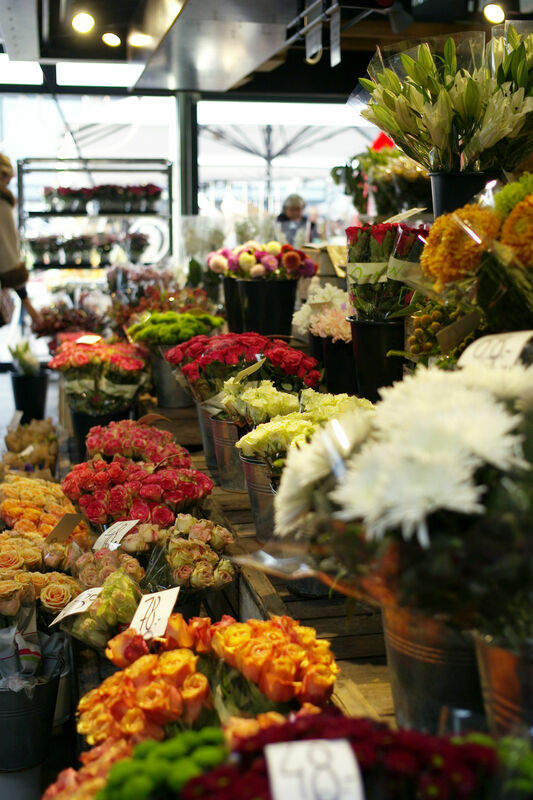 Here, the attitude is an unhurried one, despite the buzz and hustle of the market, encouraging visitors to take time to peruse the stalls, including several not-to-be-missed vendors. 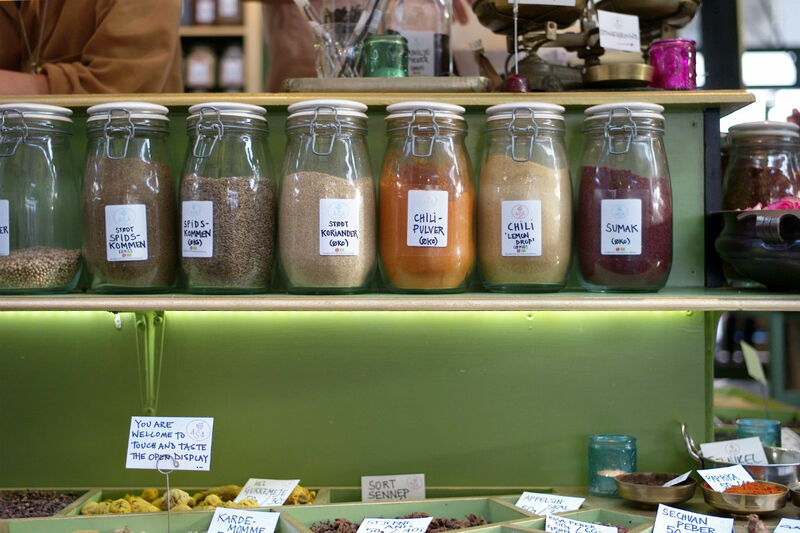 Hall 1 is defined by its fresh ingredients, stocking some of the city’s best seafood, meat, cheeses, and bulk spices. As one of the largest ports in Scandinavia, Copenhagen’s assortment of fish and crustacean is varied, though the traditional selection is salmon and herring. 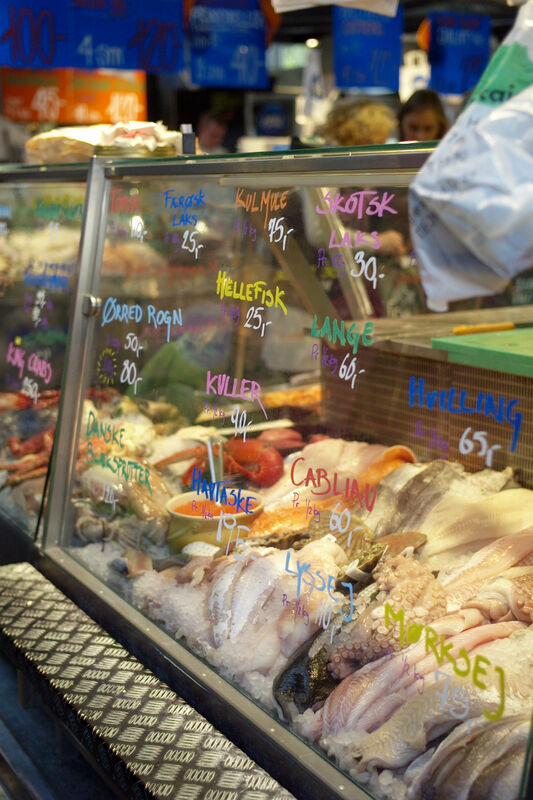 Pick up a portion or a whole catch at fishmongers Fiskerikajen or Hav. 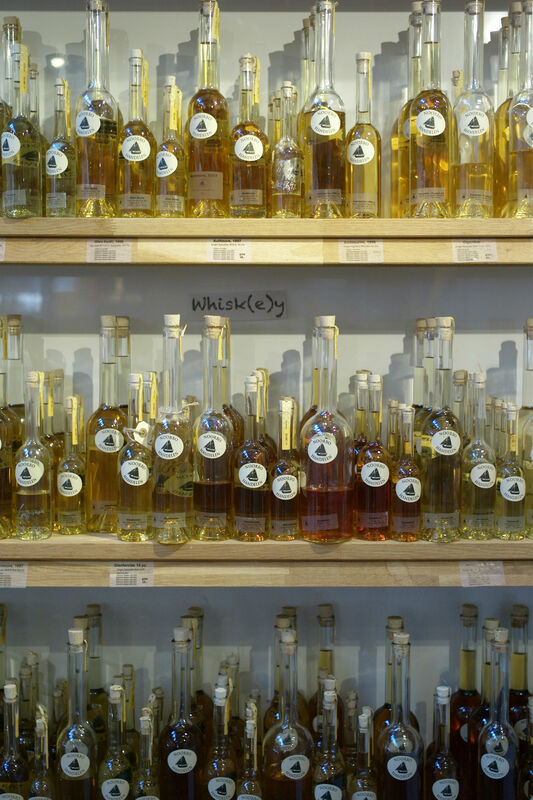 A standout shop in Hall 2 is Noorbohandelen, an independent bottling company. Single casks of fine whisky, rum, brandy, and grappa are ordered from distillers around the world, and then bottled on the small island of Nyord in southeastern Denmark. Customers can purchase bottles that range from 100–700 millilitres in size, or even just a single glass to sip while they shop. Gløgg, a mulled wine, is a wintertime specialty, with familiar aromas of cinnamon, cloves, cardamom, and nutmeg. 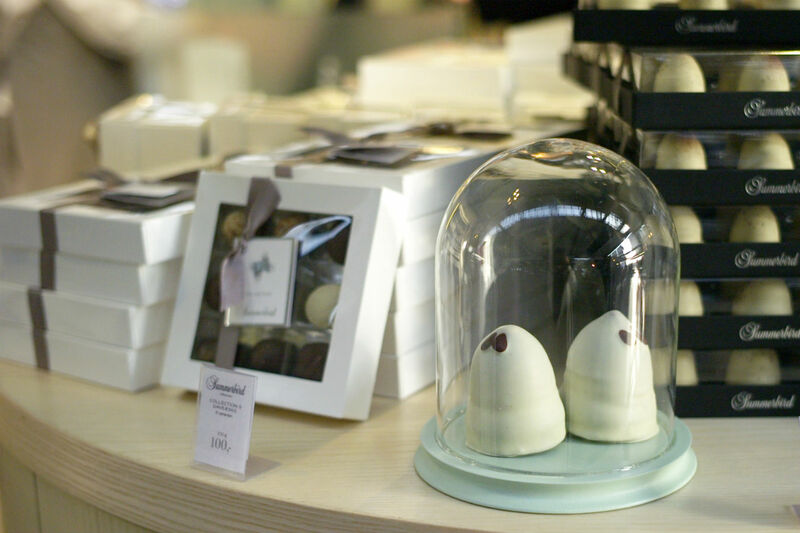 A few stalls over from Noorbohandelen, Summerbird awaits with its pretty and polished displays of delicate handmade chocolates. 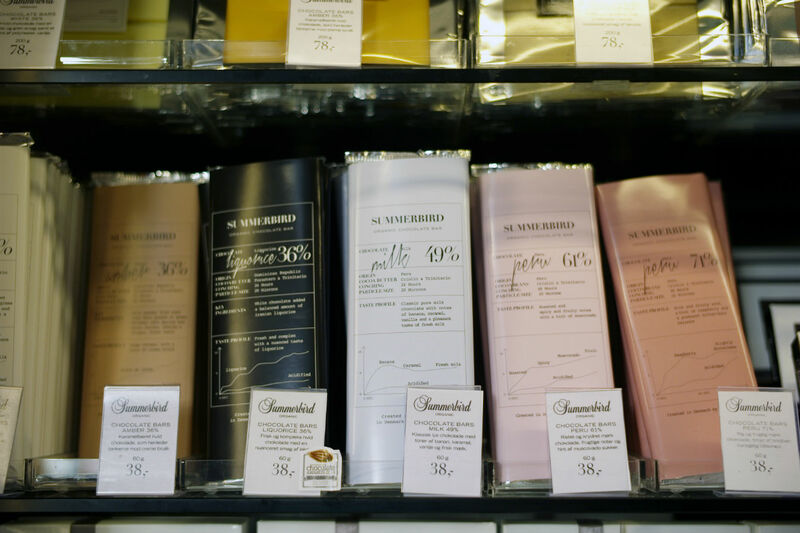 What started with the simple production of bow-shaped chocolate-covered marzipan has slowly expanded to include single-origin bars, infused truffles, and flødeboller—a decadent Danish classic from the 1800s of marzipan topped with marshmallows and encased in chocolate. All offerings at Summerbird are made from hand-picked, organic ingredients, such as Valencia almonds and Valrhona chocolate. The end product is sumptuous. 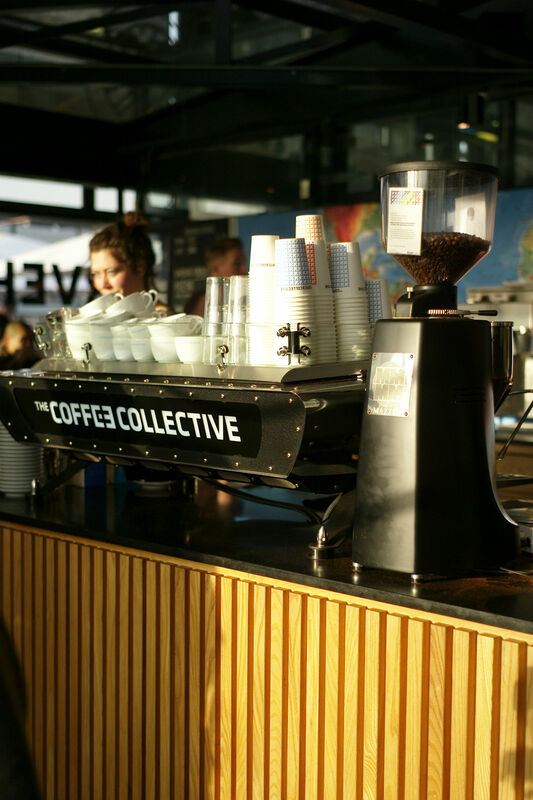 Whether you visit it first, last, or between other stops, Coffee Collective’s market outpost is a must. It’s arguably one of the city’s best caffeine sources, a revered small-batch roaster. 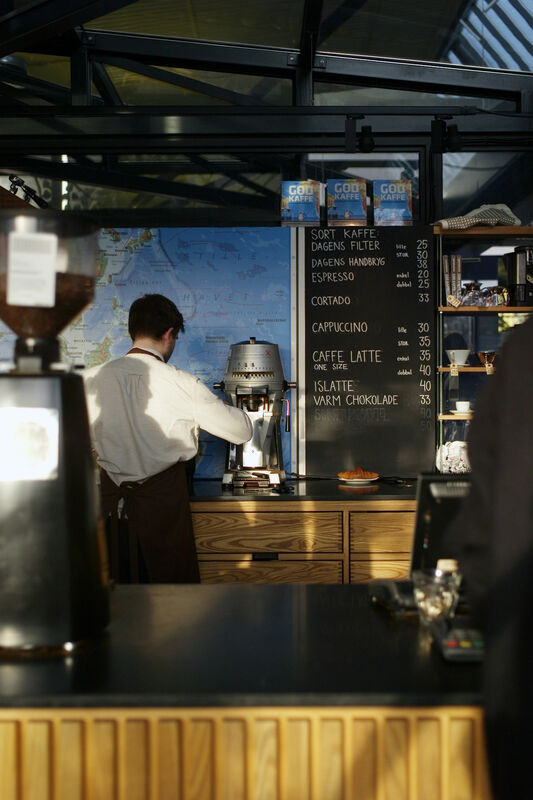 Order a daily roast, cortado, or latte, and rest—or wake—assured that the barista behind the counter is pulling your espresso with care; each cup is individually brewed with a Kalita Wave espresso machine. This care extends throughout the market, so plan to spend a few hours perusing. With plenty of specialty shops, Torvehallerne is sure to provide just the thing to pique your interest or quell your hunger pangs.